Getting Seven: The Haunted Girl of NuLo into print was always on the agenda as I got started in this self-pub adventure, but the project was constantly being pushed back as other fires demanded my attention. That's not to say that the other fires were more dangerous. In fact, they were probably attended to first because they seemed more manageable. But when I finally got started with the process (something I fully expected to take a significant chunk of time and attention), I found it went from (1) planning to (2) execution to (3) book in hand without as much pain and frustration as I had anticipated. So where do we begin? Let's just lay out the tools that I used, and then hop right into the tips and tricks and things I picked up along the way, shall we? Let me start by saying that this is going to be a touch Mac-centric as my primary writing machine is a Mac. But you can find similar tools (or the same app, ported to other platforms) on whatever OS you're using. So what did I use? Scrivener. Really does simplify the process of formatting your interiors (in addition to all the other wonderful things it can do for an author). How to Format Your Novel... . Ed Ditto's handy guide provides a solid approach to Scrivener compilation for a number of intended targets/markets, including CreateSpace, though I did modify some of Ed's suggested settings. Preview. For general review of interior/cover pdf files and cropping the CreateSpace cover templates. Comes standard on every Mac. Pixelmator. Lightweight, Photoshop-style image editor used for creating covers. Printer. For some quick DIY proofing before committing to ordering from CreateSpace. That's it. So how about a few tips and tricks and specifics surrounding how I used these tools? Scrivener was a godsend here. I've been using it for a number of years, but had often been frustrated by the compile process and had certainly never used it to compile anything for print before. Rather than spending hours kicking every tire, I opted for a bit of hand-holding and guidance. Encouraged by some of the helpful posts on his blog, I picked up Ed Ditto's How to Format Your Novel for Kindle, Nook, the iBookstore, Smashwords, and CreateSpace...in One Afternoon (for Mac). Considering the ultimate goal is to end up with a printed book, I don't know why I didn't print some sample pages and make my own little "test book" to check font size and margins and such. I should have. Instead, I had to see that first proof copy from CreateSpace to realize that my margins and font size were wrong. I should have printed some pages at the 6x9" target size, cut out them out and taped them together before ordering that proof (which I did do before the second round of prints!). Honestly, it took actually reading the book to realize that the gutter margin (the one closest the spine) was too tight (increasing from the original 0.75" to 0.825" for a 228 page book). By the fourth or fifth time I had to pull the pages nearly flat, I had sussed the frustration that readers were going to feel. Added bonus? I caught a few mistakes in the text (added space before a period, "where" instead of "wear", for instance) that had slipped past proofreaders as I read the book as an actual book. I'm not sure I'll need to do two rounds of proofs on the next book now that I have working margins and fonts in place, but you'd have to be exceeding lucky to get everything 100% right the first time around. Even now, there are nits that I have to pick with the finished product, but they're not show stoppers. Also, they're on CreateSpace's end and thus not something I have any power over. Oh, and don't forget to kill your widows and orphans once you have margins, font, and font-size determined (if you're so inclined)! It's worth noting that I had to get all the interior formatting and widow/orphan killing done before I even started the cover. If you're going to use CreateSpace's own Cover Creator tool, you can work on that while you're doing the interior, but if you're going full-DIY, you'll need the page count and book size before you start your cover design. Well, CreateSpace helpfully provides templates to build your cover on top of, but those templates are based upon your book size (I went with a standard 6x9" trade paperback to enable expanded distribution through CreateSpace) and page count (more pages = wider spine). I'm not sure why these template files extra white space outside of the actual cover bits, but I used the zoom and crop tools in Apple's default pdf-viewer Preview app to trim it off with precision. Then it was time for Pixelmator, my preferred image editor. I simply created a new file with the exact pixel dimensions of the trimmed template, then dragged that template in as the background layer, dragged my existing ebook cover in as the front cover, and started adding layers for the spine and back cover. Remember, layers and opacity are your friends! I worked with every image layer (excepting the background template) set to 30-50% opacity while I arranged them. I did this so that I could see (1) the pink (non-safe, might be trimmed during printing) areas, (2) the lines designating the spine/cover divisions, and (3) the place where the barcode goes. As noted above, the template file shows where CreateSpace is going to stick the barcode, so don't put any text in there. Images are okay (as you can see in the screenshot above), so long as you don't mind the barcode being slapped on top of them. I did a bit of pre-planning with my cover design and designed the ebook cover at a 6:9 ratio at 300dpi (dots per inch, print quality) and with a much larger pixel-count than I would need it for the ebook. That way, I could scale down the cover for inclusion in the ebook and ebook-seller catalogs but use the same design for print. Sadly, some of my text (subtitle + author name) was creeping into the pink, non-safe areas when I pulled the ebook cover in, but I simply preserved the layers from the original on import and dragged them on the template so they'd fit. Plan ahead! With everything arranged, I duplicated my Pixelmator file so that I could have a working backup copy if things went awry down the road or needed to be tweaked if CreateSpace did not approve the cover. Then I removed the background/template layer and cranked the opacity of my content layers up to 100% (excepting the layers that provided subtle gradients and shading using reduced opacity levels). The next step, as specified by CreateSpace, is to flatten the file. Make sure you have your backup copy set aside as editing goes out the window once the layers are flattened. In Pixelmator, I selected Layer>Merge All Layers from the file menu to do so. After that, it was just a matter of exporting the resulting file (you did start with a 300dpi file, right?) to pdf for upload to CreateSpace. I'm not sure if I just got lucky or if my pre-planning and research greased the wheels, but my files were approved by CreateSpace with no hiccups. As I mentioned in the discussion of the interior formatting, I do have some overall issues with the final print quality of the books. The bottom margins on the interiors are larger than I specified, probably owing to how the pages were cut, and, of the two proof copies I ordered in the second round of proofs, one had a decidedly pink cast to the cover. Also, the italic text on the back cover isn't as sharp as it is in the pdf I uploaded. But those are minor niggles. I'm not 100% satisfied with the results, but 95% is pretty good for a first go-around with self-pub tools (and, granted, I'm also going to be way harder on my own books than others). My second novel is in the revision stage as I write this, with a targeted publication date of September, 2014. 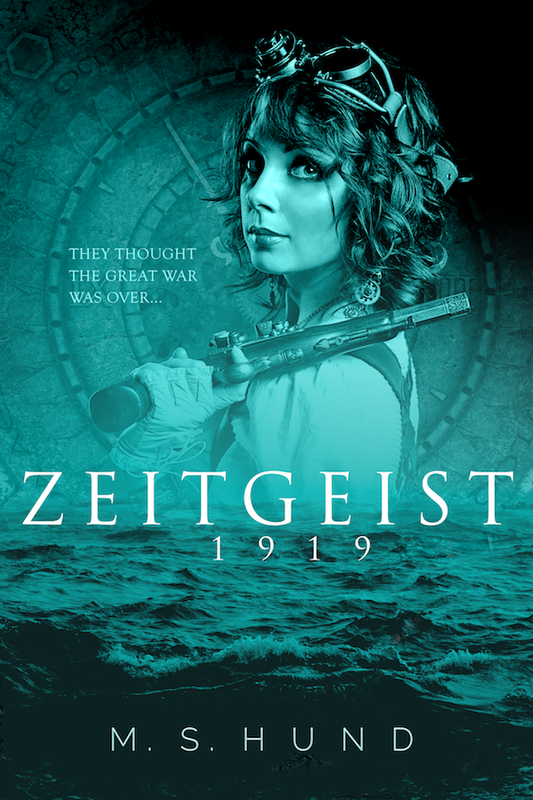 Given that print wasn't as arduous as I had supposed, I'm going to attempt to get the print version of that novel out much closer to the ebook release date, rather than have a three-month gap like I did with Seven. 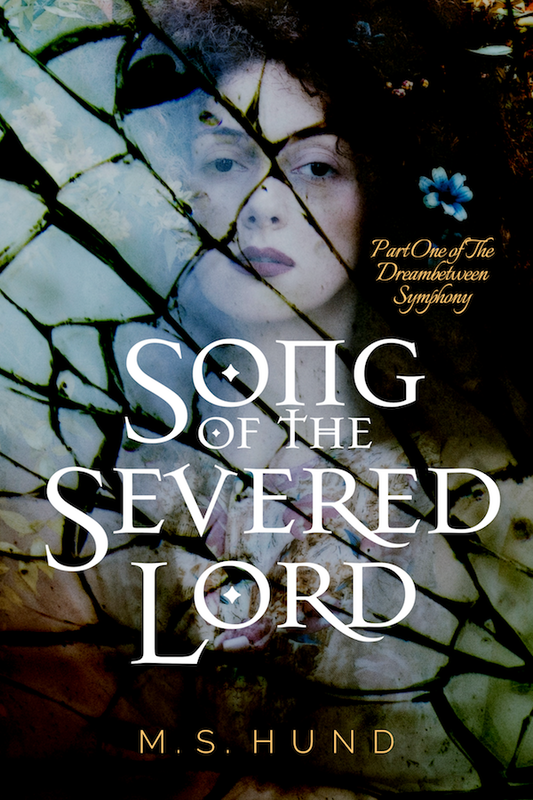 It's Cover Poll Time Again! For the first installment of the Singles Collection series, I gave you three potential covers to choose from. This time there are six on offer! Sometime in the middle of March (possible on the Ides of March, since I'm a masochist that way) I'm going to release volume 2 of my six-part Singles Collection. 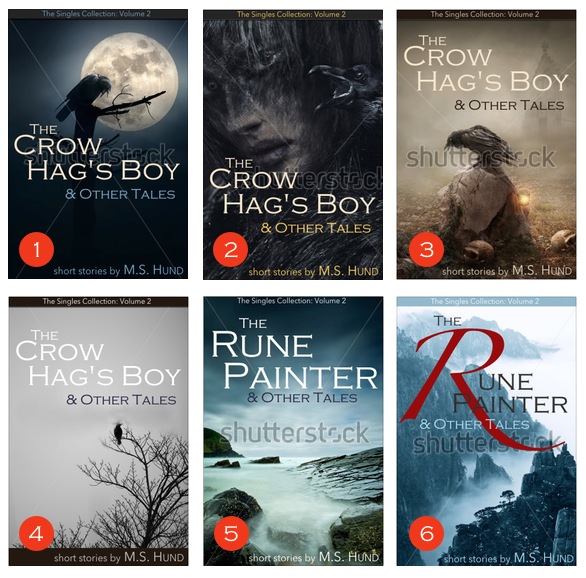 It will contain three short stories: The Crow Hag's Boy, The Rune Painter, and A Shipbuilder's Prayer, though I've yet to choose which of the first two will be the featured story. Actually, you get to play your part in that as well since the winning cover will determine which of the two stories gets a call-out on the cover and which is relegated to being part of the "& Other Tales" section of the title. So, without further ado, here are your choices! Pick the cover that appeals to you most and/or is the most intriguing. Actually, why don't you go ahead and pick as many as you like? The poll will let you choose multiple covers if you just can't decide on one. Don't forget: the watermarks will not be present in the final version and these are just rough sketches of potential covers, not the final covers themselves. If you're so inclined, you can leave constructive criticism or smack talk for your favorite cover in the comments or on the corresponding FB post. Thanks! I'm going to be launching the first of my "singles" collections next month (more details on what a "single" is will be revealed closer to the launch date) and am looking for opinions on the cover design. 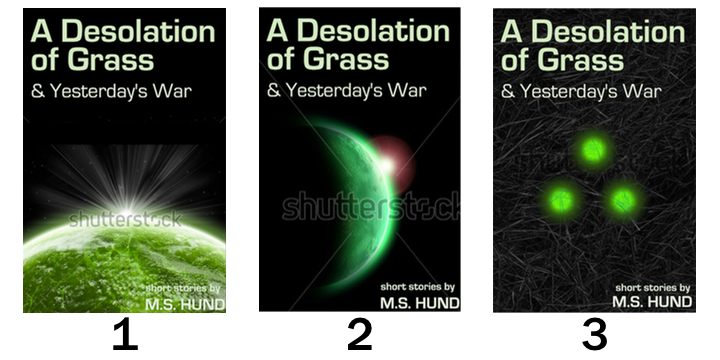 Note that the images used are watermarked as these are still works-in-progress, and the text will need to be tweaked before I finalize the cover, but these do give a rough idea of what I'm going for. You can vote for your favorite in the poll below. Thanks! Which cover grabs you the most?